continents. 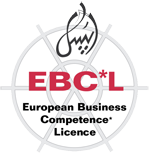 The EBC*L exam can be taken in 24 languages including English and Arabic. 7000 Austrian certificates during the year 2011.
and provider of academic and strategic leadership.